You just left a meeting with your team leader, who tore apart your efforts on a recent project. She might have some valid points, but you are miserable and angry and thinking that she could have handled the situation better. She is, after all, not just your team leader, but also your good friend. Why would she talk to you that way? And then you remember that she has been in a terrible mood all week. She and her boyfriend have been fighting. And she’s taking out her frustration on you. Do you go back into her office and let her know that you’re on her side? Do you call her on her unprofessional behavior? Or do you simply do nothing and make the changes she suggested, since they do make sense, even if you don’t like the way she talked to you? If you have ever been in a position like this one, you know that friendships at work can be complicated. Research shows that having a good pal at work can be very good for your overall productivity and performance, but work friends can also create problems. They may want to fill you in on all of the details of last night’s date at a time when you need to concentrate on an assignment; become more demanding than your mother at her guilt-provoking worst; or suddenly decide to go after a promotion that everyone knows you applied for weeks ago. So, what’s the best way to manage these all-important relationships at work? Recent studies confirm what the founder of attachment theory, John Bowlby, wrote more than a half a century ago: we humans need social connections with others like we need oxygen to breathe. According to one study, 46% of professionals worldwide say that work friends are important to their overall happiness. 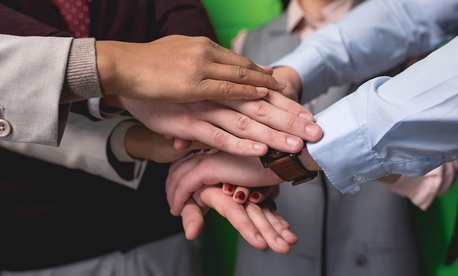 Because we often spend a significant, if not a majority, of our time at our jobs, meaningful connections with at least one or two work colleagues can support not only our emotional and psychological health, but also our ability to succeed at work. This means that you can be friends with your supervisor, team leader, or assistant. Mentors and mentees often become friends, and friends from current and past jobs can be important networks when you’re in the market for a new position. So feel free to look up, down, and sideways for work friends who can support you, increase your happiness, and amplify your productivity. Sometimes a good friend is a cheerleader, someone who mirrors back positive aspects of our personality or helps us push on through a difficult task. A friend is sometimes called on to offer advice, and sometimes to say things we don’t completely want to hear. But sometimes even a good friend can put his own needs in front of ours. When that happens, for instance when a buddy decides to go after a job you’ve already declared your interest in, the friendship can suffer. It can be really useful in times like these to ask yourself some hard questions: How fair it is of you to want your friend not to compete with you? How important is the friendship? Sometimes competition can actually be good for a friendship. In work situations, competing with your bestie can also enhance the productivity of your workplace. But this can only happen when the competition is open, aboveboard, and honest. Demarcations are important in all friendships, but crucial to a healthy work friendship. You might go for drinks with your boss after work, but even in most casual offices, you will still want to be professional in your daily business interactions with her. The same is true for your assistant. Often these boundaries do not have to be spelled out, because they are intuitively clear to everyone involved. When boundaries are crossed, however, they need to be addressed quickly with tact and understanding. For example, it should be a given that friends do not share personal information about one another to anyone else in the office, no matter how juicy the gossip or how openly available the information might be. Similarly, friends should be respectful of one another’s workspace and work needs. But sometimes the boundaries get murky, and when that happens you will need to be ready to define them clearly, succinctly, and diplomatically (at least at first). Say for example that you find out that a friend at work has shared personal information that you told them in confidence. You can say, “Gee, I thought I had asked you to keep that to yourself, but I heard that you told so-and-so.” Let your friend explain what happened. If she accidentally shared something she thought the other person knew, and she seems genuinely apologetic, you might feel okay letting it slide. But remind her that you need to feel that you can trust her, and you won’t be able to if it happens again. Or you might simply decide that you need to be more careful about what you share with her. Either way, you will be protecting your boundaries. If your chatty friend just can’t wait to tell you about his most recent date while you’re in the middle of a project with a looming deadline, let him know that you’d love to hear about it, but not right now. Friends do provide cheerleading for one another, but the timing needs to be good for you both. Maybe you can suggest that you go out after work and he can tell you everything–and you’ll tell him all about your toddler’s first steps. If he keeps talking, it’s time to get a little firmer with your limit-setting. If at all possible, try not to get angry or hostile. In a straightforward, calm way, tell him that he needs to leave so that you can work. Or simply stop responding. Focus on your work. After a few minutes of not getting an answer from you, he will leave, although maybe with a couple of snarky comments. Of course, these rules work both ways. It’s important that you respect your friends’ needs at work as well. Here’s the other thing about any friendship: it needs to benefit both of you. Mutual support, including cheerleading when appropriate, is part of a work friendship. If it starts to feel one-sided, or the boundaries one of you need feel restrictive or hurtful to the other, then it might be time to consider what you are getting from the friendship. If the relationship is no longer working for you, you might want to find ways to quietly stop being available. Especially if the person is a boss or a supervisor, it can be helpful to remain warm and friendly, but simply be too busy to engage in social interchange. Something as simple as “I’d really love to chat, but I want this project to show off everything I’ve learned from you,” can soothe a former friend’s ego without putting you in the awkward position you want to avoid. Work friendships can be extremely beneficial to you, your friend, and the company that employs you. But they require some work, as well. And when a work friendship creates more problems than it solves, it can be important to use your tact and interpersonal skills to gently shift the connection back to full work mode. Diane Barth, LCSW, is the author of “I Know How You Feel: The Joy and Heartbreak of Friendship in Women’s Lives” (to be published by Houghton Mifflin Harcourt in February 2018).